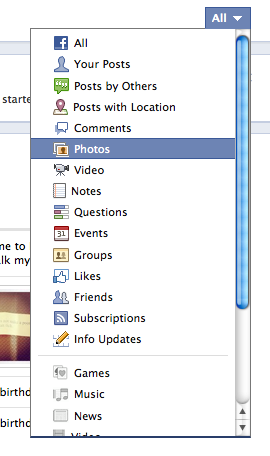 Many have already changed their FB profiles to the New Facebook Timeline layout. If you already switched over, you’ll obviously notice that everyone can see your whole life from when you started Facebook, which to me is a little creepy. There’s an easy way to remove posts from your timeline other than on your home page. I’ll show you the different ways, but more importantly the easiest way first. After all, I don’t want everyone seeing some of my goofy pictures from 4 years ago! Hide Activity From Your Facebook Timeline! 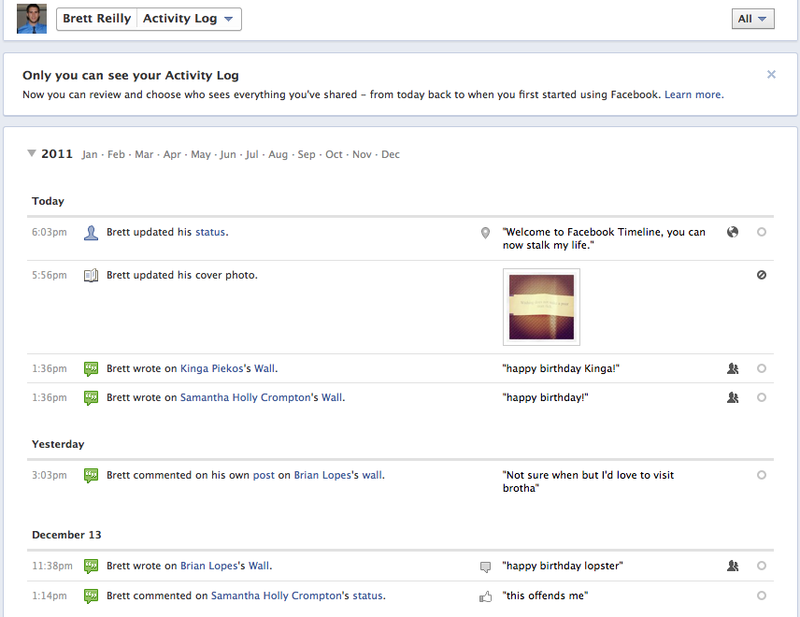 Easy, first click to your profile page, then click on “activity log”. Now you’ll come to a page with your entire activity log. Now you can review and choose who sees everything you’ve shared – from today back to when you first started using Facebook. If you want to hide something, just click on the circle on the right hand side to remove it from your timeline. You can also drill down to specific things so you can remove check-in’s, posts by friends, likes etc… all displaying on timeline. Now you have a shortcut to remove content from your Facebook timeline without doing it individually on your main profile page, which would take a lot longer!